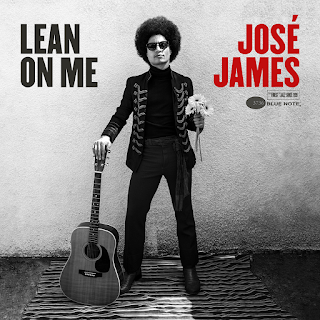 José James has always worn his influences on his sleeve. It's long been a part of his charm. Even before his Brownswood Recordings debut in 2007 with 'The Dreamer', that record was preceded by a series of covers/reinterpretations of songs by his foremost hero John Coltrane. In fact, I have fond memories of seeing James grace The Barbican stage in 2011 with pianist McCoy Tyner as they whittled through Coltrane classics together. A collaborative album in 2010 with pianist Jef Neve entitled 'For All We Know', recorded for Impulse!, saw the duo tackling iconic jazz standards like 'Gee Baby, Ain't I Good To You' and 'Tenderly'. And then in 2015, James leant his name to the many tributes celebrating what would have been Billie Holiday's 100th birthday by honouring his "musical mother" with 'Yesterday I Had The Blues'. In some ways, the music of Bill Withers may seem a stretch from the giants of jazz mentioned above but again the music of Bill Withers has long been a part of James's repertoire. I also have fond memories of seeing José James perform in London as part of the 'No Beginning No End' tour as he declared his love for Bill Withers before performing 'Ain't No Sunshine' and seguing masterfully into 'Who Is He', and ultimately Blackstreet's 'No Diggity'. 'Lean On Me' has perhaps been a project James has carried around with him for some years now. They say timing in life is everything and if it's taken this long to wait for the results, then it was worth it. James's vision has been realised from a staggering array of musicians, with the core band consisting of long-time members of Team José James: Pino Palladino on bass, Concord Jazz's Kris Bowers on keyboards and organ, Brad Allen Williams on guitar, Lenny Castro on percussion and Ropeadope's Nate Smith on drums. Already a colossal line-up, there are further guest appearances from awesome horn players like Dave McMurray (flute), Takuya Kuroda (trumpet), Marcus Strickland (sax) and Corey King (trombone). The collective lovingly recreate twelve tracks from the Withers catalogue, many of which are songs synonymous with soul music fans the world over like 'Ain't No Sunshine', 'Lovely Day' and 'Lean On Me', so it's those slightly lesser known numbers like 'Hello Like Before', 'Kissing My Love' and 'The Same Love That Made Me Laugh' that provide that little more interest here. José James from quite early on in his career has established himself as an artist constantly able to skate around categories or restrictions people may place upon him. While projects like his debut 'The Dreamer' and the aforementioned projects 'For All We Know' and 'Yesterday I Had The Blues' root his sound within jazz, there's always a project like 'Blackmagic' (Brownswood, 2010) or 'While You Were Sleeping' (Blue Note, 2014) there to remind us of his chameleon-like approach to making music. 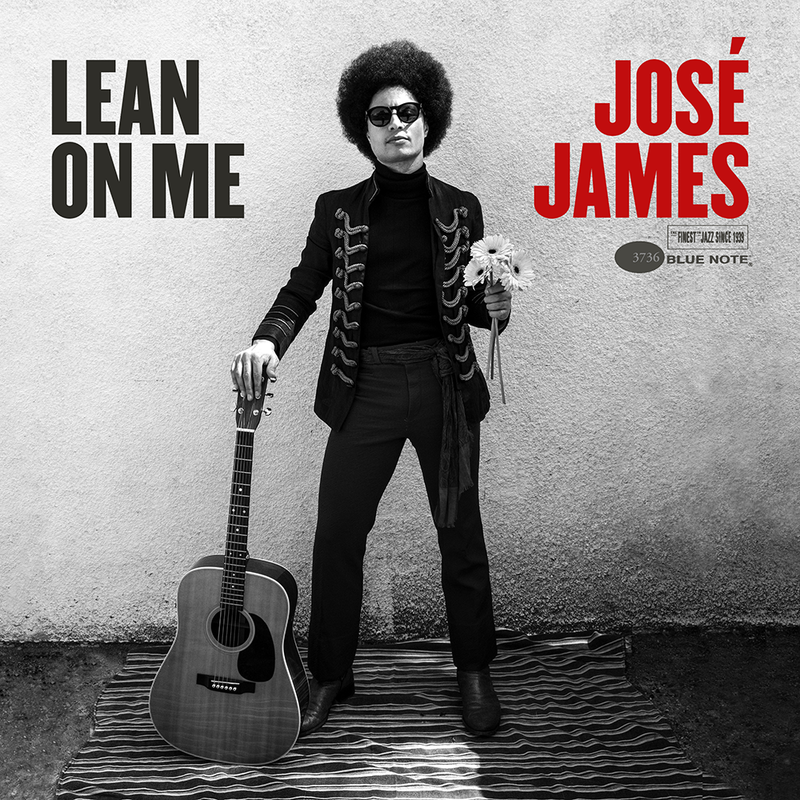 But what's exciting about 'Lean On Me' is this marks perhaps James's full-on soul music album which proves to be a distinction he carries off effortlessly. And on that note, as with every José James album, all that's left to ask is what's he going to do next?